Zoo. Santa Cruz Zoological Gardens, Bolivia. Exotic and Endangered Species. 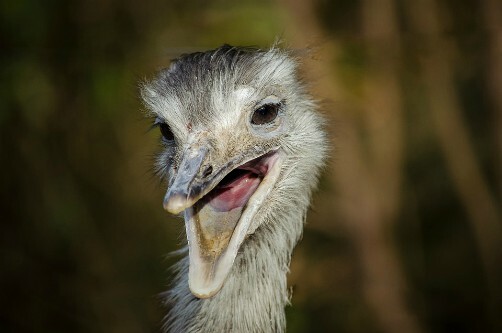 At the Santa Cruz Zoo you’ll be able to see some of the most exotic and even endangered tropical animal, reptile and bird species in South America. Located on the “3rd Ring” just 5 blocks West of Avenida Banzer (any taxi will take you there if you just ask for the “zoológico”) it houses many tropical bird and reptile species including the blue paraba, scarlet macaw, and other exotic birds as well as tropical frogs, fish and snakes (like the feared anaconda). 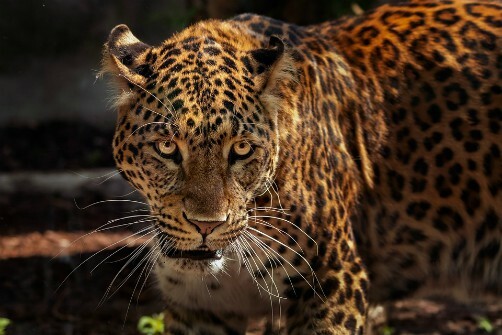 In addition, you’ll see jaguars (most of them rescued from people who thought it would be “fun” to own a jaguar cub) lots of entertaining monkeys, capybaras (the world’s largest rodent), deer, llamas, wild boars, tapirs, turtles, and even the rare “oso de anteojos” (known to all kids who ever watched Dora or Diego as the “spectacled bear”), which is the only species of bear found in South America. It also contains a fun park for kids including a merry-go-round, slides, jumphouses and swings, as well as several snack shelters and a souvenir shop. There are plenty of trashcans all around (please use them) and several sellers who will sell you a type of “pellet” which is a specially formulated food you can throw to the monkeys and birds. Please don’t feed the animals anything other than that. They are all on special diets. Most have been rescued or are endangered species – wouldn’t you feel awful if your popcorn or potato chips caused the demise of one of the last rare spectacled bears? As you enter you must approach the ticket booth (known as the “boletería”) to purchase tickets. It's inexpensive, under $5 per person. Children under 5 enter free. You can purchase snacks, candy, ice cream, soda or bottled water from any one of the sellers who line up outside the entrance, but there are also snack shelters inside that offer the same. Again, please use the trashcans. Be prepared to see some animals in fairly small cages. Everything is being done to make the animals as comfortable as possible, given the few resources the city has for this, so kudos for the efforts made and double kudos for the volunteers who give of their time, and the donors who help support this zoo/rescue shelter. It’s a bit sad, but your visit will also benefit the animals and help with their care and it has improved a lot since it's initial establishment. It's shady and a nice place to take the kids for a stroll and their (maybe) once-in-a-lifetime look at some very rare and nearly extinct species. It's a good lesson for kids about caring for the environment and animal habitats. If you’re staying at a hotel, it's a nice place to take the kids for some exercise. Sundays the Zoo is packed and noisy! Families bring lunch and spend the day. It’s best to visit weekdays or Saturdays. The Santa Cruz zoo celebrated its 30th birthday on August 19, 2009 with a new make-over. After a $2 million dollar investment and 3 years of outside consulting, the construction of several big new animal environments, a new quarantine clinic, and tons of effort, Santa Cruz is hoping its Zoo will continue to be one of Bolivia's biggest attractions. It receives nearly 1/2 a million visitors each year already. Tourists and foreigners have been very critical of the zoo, but may be unaware of the efforts being made to improve it over the past few years. The zoo’s jucumari (spectacled bears) were given a new environment (1000 square meters). It’s a large fenced-in area surrounded by a channel of water in which you can see fish and turtles as well. In the center there is a piece of land with vegetation whereas the jucumari used to pace back and forth inside a small fenced-in cage with a concrete floor. The zoo also built an aquarium/terrarium for its anacondas (3), boa constrictors (2) and other snakes. The municipality invested about Bs. 500,000 (about $70,000 US dollars) into each one of these new enclosures and now the zoo is beginning work on a new piece of land for its monkeys which will cost about the same. In addition, signage will also be repainted and upgraded. All of this was done to ready the zoo for its 30th anniversary which took place in August of that year. The zoo inaugurated a new quarantine clinic at that time. After several years of studies, workshops and consulting from U.S. experts and advisors (who also helped train zoo personnel in administration and management, refuge and cage design, animal nutrition, feeding and play over the past years), the zoo will continue by working on the physical installations. In 2005 the decisio9n was made that the zoo must first work on improving management. The zoo received training, advice and consulting, and even donations of equipment over over a period of years from organizations such as SSP Jaguar (U.S.), the Wildlife Conservation Society in Santa Cruz, other organizations, volunteers, university students from Gabriel René Moreno University, and of course the Noel Kempff Mercado Foundation. An improved environment for the animals is important because it helps improve the physical and psychological conditions of animals in captivity; the environments are more attractive to zoo visitors; and they help ensure the conservation of species that are nearing extinction because with proper environments the animals live more healthy and usually longer lives and their behavior is more normal. In small cages they get bored and frustrated, and are less active. The zoo also needs to find more space or other areas to transfer some of its animals in the near future. Professor Noel Kempff Mercado (who was assassinated some years ago by drug traffickers) loved nature. He was instrumental in ensuring the Bolivian government set aside protected areas and natural parks throughout Bolivia and the Noel Kempff Mercado National Park is named after him. He also founded the botanical garden “Jardín Botánico” in the 1960’s (originally on the shores of the Pirai until it was was flooded and destroyed). It is now on the road to Cotoca. The Noel Kempff Natural History Museum on Avenida Irala is also named after him, and the Foundation that carries his name is continually active in campaigning for the preservation of the environment and Bolivia’s precious ecosystems. Bolivia is among the top 5 most biodiverse regions in the world. The foundation provides technical consulting in environmental and conservation matters to the zoo and also works with other local and international NGOs. After a trip to Europe where he studied several European zoos, he founded the Santa Cruz zoo because he hoped to ensure the conservation of South American species. The zoo opened its doors in 1979. 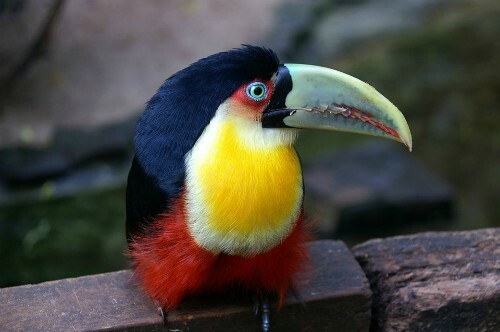 The Santa Cruz zoo is considered one of the most complete refuges for South American species in Latin America. It is 66,000 square meters in size and considering the number of animals it shelters (over 2000), it is becoming small for its purpose. It welcomes over 500,000 visitors each year, among them zoologists and ecologists from many other countries. Although some would argue that it still leaves much to be desired in some respects (and this is true – it’s always short on funding) it shelters many species that are endangered or nearing extinction and some that literally cannot be seen anywhere else (or simply no efforts are being made to conserve them elsewhere). The Santa Cruz Zoo has four main objectives: Recreation, Education, Research, and Reproduction. It is one of the most visited sites in Bolivia each year. The zoo also provides a space to provide environmental education and since 2001 has been doing so under an agreement with the Gabriel René Moreno Museum of Natural History. Volunteers also work at the zoo providing information for the public and educating them on animal behavior and feeding to try to ensure the public doesn’t engage the animals in improper ways that can cause them to react violently. Attempts are also made to ensure the public doesn’t feed the animals as they are all on carefully planned diets (this last point is very hard to monitor – the public continually insists on feeding the animals despite the signage and warnings from zoo employees and volunteer guides). Biology, veterinary and ecology students also get part of their education at the zoo. Reproduction is a very important part of the zoo’s mission. Animals in captivity have a harder time reproducing and this is true in zoos all over the world. A volunteer told me that when you see the animals reproducing in the zoo then you know they’ve accepted and adjusted to their zoo environment. At the Santa Cruz zoo many of the animals reproduce regularly (like the tapir, and honestly he doesn't look like he needs any help in that department does he?) Although many of the present animals cannot be reintroduced into their natural environments, the hope is that it will be possible to do this with their offspring. This is called conservationist breeding and is something most zoos are working on more and more as animal’s habitats are being invaded and destroyed by mankind. The Zoo has a Comité de Apoyo al Zoológico (Zoo Support Committee) with representatives from several local institutions as well as private citizens interested in helping to improve the zoo. It is working hard to improve environmental education for the public, something which is sorely needed. Animals that arrive at the zoo are put into quarantine and thoroughly checked by veterinarians prior to being released into the areas where the other animal residents are. Vets make sure they don’t have any contagious diseases and treat them for parasites. They also observe the animal to ensure it doesn’t portray any abnormal behavior. All zoos worldwide are supposed to follow this practice with new arrivals. Today the Santa Cruz Zoo has over 2300 animals (over 200 species). And although it has nearly half a million visitors per year, what the zoo earns from admission fees is never enough to provide all the cleaning and feeding and improvements to the zoo that the ever-growing population of animals need. The zoo has between 25 and 30 employees at any given moment. The zoo is open seven days a week from about 9 a.m. to sundown (about 6 p.m.) and is located on the 3rd ring between Avenida Banzer and Radial 27 (on the way to Equipetrol and Avenida San Martin). If you have any questions about the zoo, the phone number is 342-9939.